You gotta love licensing laws! For without formalities like that we wouldn't have some exciting new glimpses into the history of the toy business. Here for the first time are the design patents awarded to the folks who brought us the wonderful characters and toys we love so much. It's interesting to note just who designed what for the Star Wars line. 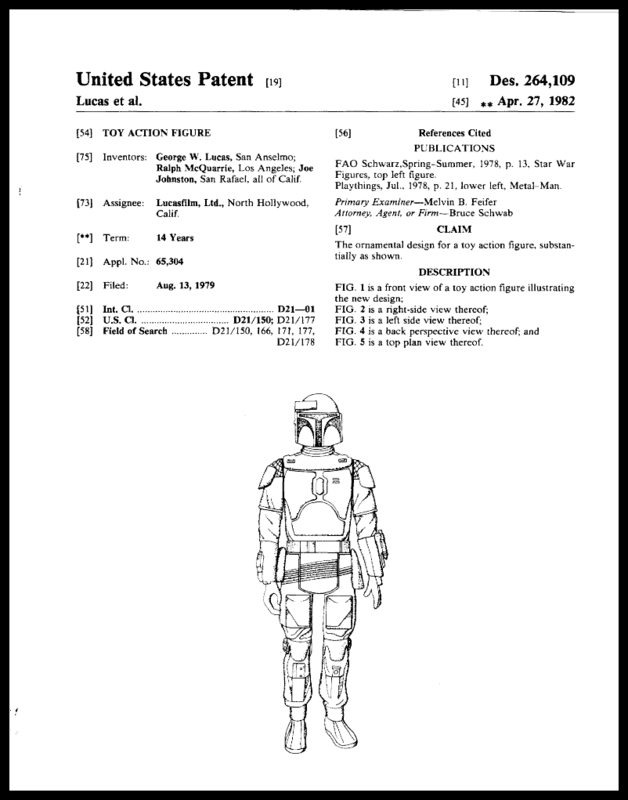 Many of these toy patents were in fact filed by Lucasfilm for their inventors - people like Joe Johnston, Ralph McQuarrie, Nilo Rodis-Jamero, Ralph McQuarrie and such. Kenner does have its share of patents as well. The United States Patent and Trademark Office is indeed a wealth of public infomation if you can maneuver through it all.